Guide: bulk logo engraved pen prices. 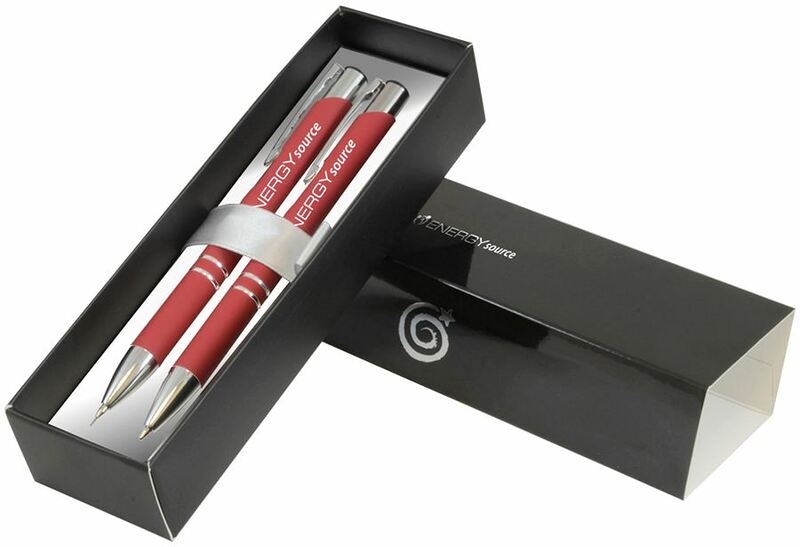 Our Crosby Soft Touch ballpen now comes in a gift set with the new Crosby Soft Touch mechanical pencil. Presented in a premium gift box. A one colour print in black is possible on the giftbox. Four colours to choose from - black, navy blue, brick red or taupe. Mechanical pencil contains a graphite lead of 0.07mm. Choice of blue or black ink available at no extra cost.